Our World from A to Z: Holy crap, that was funny! I had stumbled upon Mrs Brown somehow on YouTube. Someone somewhere shared a link and I watched a hilarious video. A while later I heard Mirvish was bringing Mrs Brown to Toronto!! Yay!! Then I saw the dates... The same week we were away at Mom and Tots Camp. Boo!! Some more time passed and I saw Mirvish had extended the run! 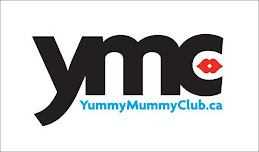 Back to YAY! But finances are shite. Boo! Mirvish Productions (via their Twitter account) offered me a couple tickets to go see How Now Mrs Brown Cow - the fifth play in the Mrs Brown trilogy. Super YAY!! I made arrangements, found a date, and raced to the Canon Theatre on Yonge Street in Toronto. A) Make sure you empty your bladder completely prior to the show starting - and possibly again during intermission. You may just lose control during the show. B) Make sure you're not seated behind an audience member who throws their head back in uproarious laughter - especially if you throw your body forward when you laugh. Lisa thought the person ahead of her was going to end up on her lap! What show have you seen where people are laughing hysterically BEFORE the curtain even goes up?! People were *literally* doubled over with laughter at Mrs Brown (created and played to perfection by Brendan O'Carroll) and her antics. There were a few microphone issues, and those moments were made absolutely hilarious. "Who's at the door, Mammy?" "It must the man with the microphone." And then there was, "Glad you got your voice back." It felt as if we were watching a Carol Burnett skit when the actors lost it. Rory had an absolute bout of the giggles at one point and it was hilarious. There were a few moments throughout the show where there were actor giggles and breaking of character - planned or not, the audience loved it. The play ended with not one, but two enthusiastic standing ovations. I was very happy to hear Mrs Brown will be coming back in March (around St Paddy's Day) and bringing "Good Mourning Mrs Brown." I'm very much looking forward to seeing another part of the "trilogy." *All links are non-affliate. 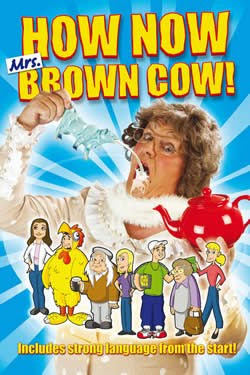 I was given two free tickets to see How Now Mrs Brown Cow courtesy of Mirvish Productions.